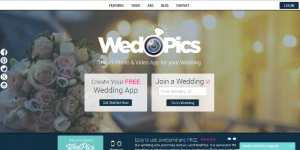 Wedpics The free wedding app & website for your special day! I just wanted to share a new wedding app with you all. Its called Wedpics. We were catering Your Paella at a charming rustic style wedding last week and noticed that the wedding couple had a small sign in the shape of a love heart and written upon it was the information to download the Wedpic app so that all the guests could share their pictures of the special day. I thought it would be nice if we also downloaded the Wedpics app and added so of the photos of Your Paella. It was an excellent app for a wedding. I found it very easy to use and the images that I took were uploaded instantly. https://www.yourpaella.co.uk/wp-content/uploads/2017/05/Wedding_Paella_001.jpg 360 640 Gary Evans https://www.yourpaella.co.uk/wp-content/uploads/2019/01/logotrans1-300x106-300x106.png Gary Evans2016-06-02 11:25:072017-06-11 22:02:18Wedpics The free wedding app & website for your special day! Paella Public Show And Event Catering. Street food style catering for party’s, events and weddings.